Warm up with a cup of hot cider and shop in our iconic barn! Our Gift and Antique shop features ornaments, crafts, antiques, farm-fresh eggs (when available), wreaths and much more. On-the-farm harvested honey is available in limited quantities. Our wreaths are made with love from fresh-cut Scotch Pines. 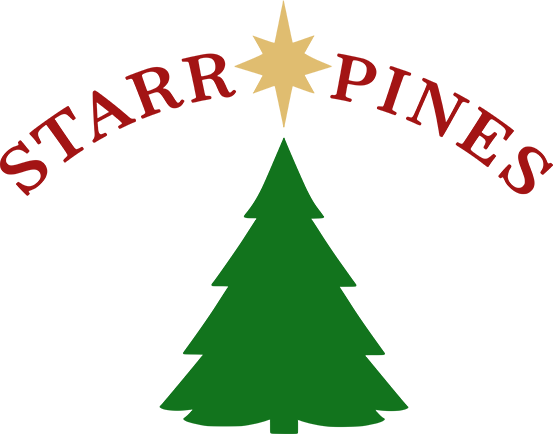 Mail-order wreaths are 22-24 inches across, decorated with a bow and pine cones, and delivered in a festive gift box. We accept Cash, Mastercard, Visa or Discover. To order, e-mail us or call (660) 882-6858. 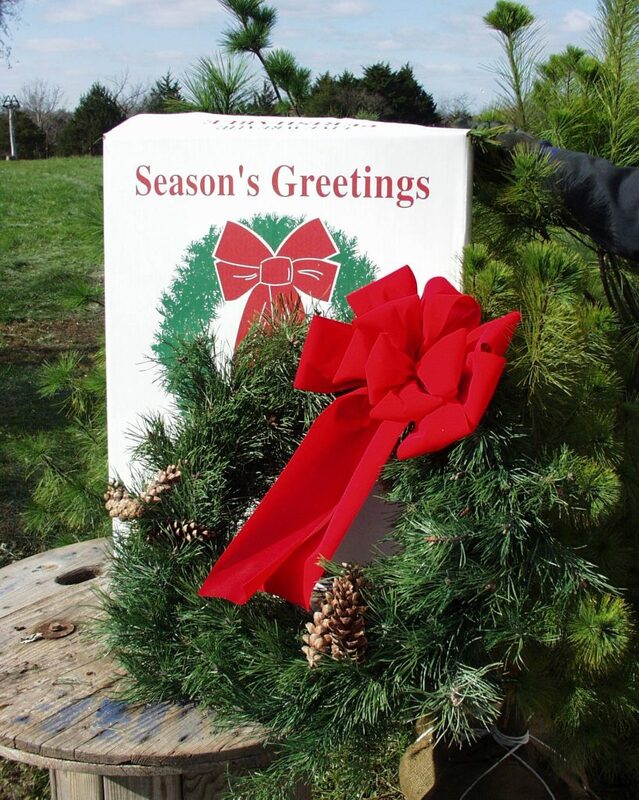 We also offer wreaths in various shapes and sizes at our farm. Be sure to stop by and check out our selection! Click the barn to take a virtual tour of our gift selection!